As one of the first student-run film festivals in the world to pioneer a department geared towards virtual reality, IFF x VR aims to foster the next generation’s dialogue around VR storytelling, the latest chapter in a legacy of evolving narrative media. 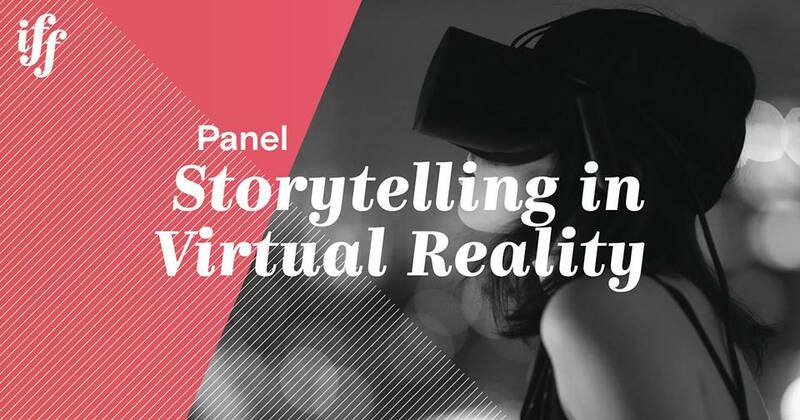 Adam Blumenthal will moderate a discussion about the challenges of telling stories in this burgeoning medium between panelists Luis Blackaller, Graham Roberts, and Alissa Crevier on Saturday, April 15th in Martinos Auditorium of the Perry and Marty Granoff Center for the Creative Arts. A virtual reality screening room will be available before and after in Studio 4 on floor 3N. Luis Blackaller has a multidisciplinary background that covers aspects of entertainment, science, design, art and visual storytelling. He earned a BS with honors as a mathematician in the UNAM, and has been trained as an animator in the Vancouver Film School. With more than 10 years of experience in the Mexican film and television industry, Luis has worked as a designer, art director, motion graphics artist and storyboard artist among academy award winners in films like Amores Perros, 21 Grams and Babel. More recently, Luis can be found in Venice, California, where he holds the position of Creative Director at Wevr. During his tenure at Wevr, he has developed, shot and post-produced more cinematic virtual reality than almost anyone in the world, contributing to define the new sensibilities, visual language and production techniques that are pushing forward the emerging medium of VR. Graham Roberts is a 5-time Emmy Award nominated Senior Editor at The New York Times, producing a wide range of visual journalism projects as part of the Graphics team. His work focuses on new approaches in video, motion graphics, virtual/augmented reality, and immersive visual storytelling, while building a team to innovate in this area. His work has been recognized by a number of award giving bodies, including the Society of News Design, the Cooper Hewitt National Design Awards, the Edward R. Murrow Awards and the Pulitzer Awards. Graham teaches motion graphics at the CUNY Graduate School of Journalism, and speaks internationally at schools and conferences. Alissa Crevier has spent over a decade working in creative brand marketing strategy, original content, business development, media buying, and advertising, production across the virtual reality (VR), technology, music, and entertainment industries. Check out the rest of the 2017 program here. Find out more about our festival. All events are free and open to public! Since 2001, IFF has showcased the diverse work of student filmmakers and screenwriters from around the world. Through our official selections, keynote speakers, master classes, panel discussions and other events, IFF contributes to building a global community of filmmakers and audiences, fostering the next generation’s dialogue around film. Past industry guests include Jack Nicholson, Martin Scorsese, Oliver Stone, Wes Anderson, Lena Dunham, Todd Haynes, Julia Stiles, Wes Craven, Park Chan-wook, Aaron Sorkin, and James Franco, among many others.